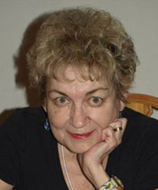 Marge Simon’s works appear in publications such as Strange Horizons, Niteblade, DailySF Magazine, Pedestal Magazine, Dreams & Nightmares. She edits a column for the HWA Newsletter and serves as Chair of the Board of Trustees. She has won the Strange Horizons Readers Choice Award, the Bram Stoker Award, the Rhysling Award and the Dwarf Stars Award. Collections: Like Birds in the Rain, Unearthly Delights, The Mad Hattery, Vampires, Zombies & Wanton Souls, and Dangerous Dreams. Member HWA, SFWA, SFPA. 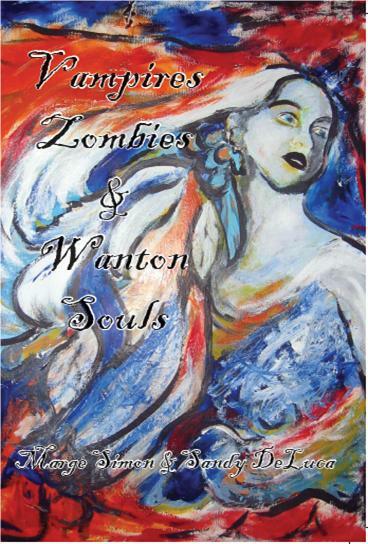 Vampires, Zombies, & Wanton Souls features over 50 poems written by Marge Simon, each of which is accompanied by Sandy DeLuca’s black-and-white and full-color illustrations. Also included are two stories, DeLuca’s “Tricks of Light,” and Simon’s “Confessions of a Visually Challenged Vampire. Q. 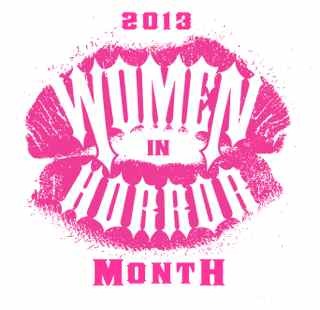 Thank you for being with us for Women in Horror Month as a part of our WiHM2013 interview series. First I wanted to ask – are you familiar with Women in Horror Recognition month, and what do you think about trying to remedy the under representation of women in the genre? A. Thanks for having me, Sumiko. Last year, I conducted a “survey” of woman writers in horror on the lines of this topic for the HWA Newsletter. Some were satisfied and some were not –I’d say it was about equal. Some editors said the representation was less because they didn’t get as many manuscripts from woman as men. Personally, I think it’s great that you’re featuring these interviews to raise awareness in both women and men involved in publishing. Q. You are a Bram Stoker Award winner. How did it feel to win the prestigious award? Q. What was it like to work with three other Stoker Award winning women writers on “Four Elements”? A. A positive experience. We all highly respect one another’s works and talent. Q. The elements were Marge Simon (Earth), Rain Graves (Water), Charlee Jacob (Fire) and Linda Addison (Air) – how did you come to choose “Earth” and what did it symbolize to you? A. First, I’d like to say that we each picked our sections without knowing what the others chose and all four of us picked the element that *spoke* to them best. I relate to all powers of the earth, and revere trees and mountains. (Perhaps because I grew up in the Rockies!) The Earth Mother, The Living Tree = symbols of my love and respect. Q. Now you have a new book out – “Vampires, Zombies, & Wanton Souls” – all of the poetry and short stories in the book are written in response to the paintings of Sandy DeLuca. What inspired you to take this approach? A. Ah, the stories were not in response to paintings. We each had a rather amusing/odd piece and decided to include them. Mine hadn’t appeared in print, but Sandy’s had. As an artist myself (and retired art teacher), I’m equipped to appreciate art and poetry and find links between them; inspiration and interpretation play a strong part of that. I’d been writing ekphrastic poems for years before I learned there was a word for responding to works of art in poetry and prose. Q. Some of the works are dark and twisted, but others have a lot of whimsy and humor in them, like your poem about Cleopatra. Is this in response to something you sensed within the painting you were inspired by, and how so? A. Let’s say I sensed “Cleo” as I refer to her in Sandy’s art. Serendipity played a large part in conjuring that poem. The painting of an Egyptian woman is loosely rendered and a little wicked. Why not she be the tool of a vampire, rather than the Queen of the Nile as she’s known in history? Q. Zombies and vampires are a big part of the popular culture right now, especially zombies. Why do you think people have such a fascination with the undead these days? A. Er, I don’t know. I’ve had more than enough of (how many years, now?) zombie stuff, but it keeps seeping back into my life either as poetry or for illustration work. Q. Is there anything you’d like to tell our readers that we haven’t covered yet? A. Yes. I’d like to thank specialty press editor and/or publishers such as Roy Robbins (Dark Moon), Joe Morey (Dark Regions), Greg Gifune, Shane Staley (Dark Fuse & Leisure) and Angela Craig of Elektrik Milk Bath Press for supporting and showcasing women in poetry and prose. ~ by Sumiko Saulson on February 14, 2013.
how can I contact marge simon?